Boston, MA Shepley Bulfinch has named three new principals to the firm, Derek Noble, AIA, LEED AP, Alison Rainey, AIA, and Chris Waltz, AIA, LEED AP. For Waltz and Noble, it marks a return to the firm after eight years at Steffian Bradley Architects where their work was focused primarily on healthcare and academic work. In addition to leading project teams and managing client relations at Shepley Bulfinch, Noble, Rainey and Waltz’ new roles include strategic planning and business development to help grow the firm’s healthcare, academic, and urban development portfolio. As an architect, designer, and artist, Noble is driven by a collaborative process and creative problem solving, which lead to imaginative and thoughtfully designed projects. His exceptional design and visualization skills result in compelling environments that yield memorable experiences. Responding to the specifics of each project, Noble strives to find the balance between space and place-making, and his expertise ranges from complex renovations to new construction projects with challenging programmatic requirements. 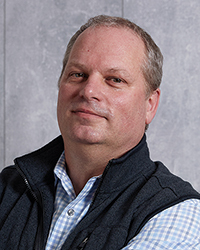 Derek contributes more than 25 years of design experience in architectural and interior design, space programming and planning, site design, and construction methodology to his new role at Shepley Bulfinch. Noble earned a Bachelor of Building Science and a Bachelor of Architecture from Rensselaer Polytechnic Institute. His work reflects his passion for teaching the next generation about architecture and design, from mentoring young architectural designers to being involved with local college architecture programs. He is a member of the U.S. Green Building Council (USGBC), the National Council of Architectural Registration Boards (NCARB), American Institute of Architects (AIA), Boston Society of Architects (BSA), and Western Mass. AIA (WMAIA). A design leader at Shepley Bulfinch since 2009, Rainey focuses on designing environments and spaces for living, learning and healing for clients and their communities. She is passionate about fostering cross-functional collaborative design processes to create projects that have a positive impact on the environment and society. Rainey’s expertise is grounded in urban infill, adaptive re-use and multifaceted renovations, as well as large scale new construction. 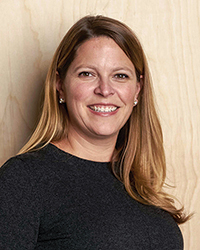 She has led design teams in the delivery of projects mixed-use/affordable housing, student housing, campus centers, libraries, hospitals, retail environments, and STEM projects. Rainey received a Master of Architecture from Arizona State University and a Bachelor of Fine Arts from the University of Montana. She currently serves on the board of directors for the Roosevelt Row Community Development Corp. and as treasurer for the AIA Phoenix Metro Board. In addition, Rainey was the chair of the 2018 AIA Arizona Design Award program. She is a registered, NCARB accredited architect, and a member of the American Institute of Architects (AIA) and the Society for College and University Planning (SCUP). Waltz brings more than 20 years of experience designing academic and healthcare facilities of increasing size and complexity in the U.S. and Europe. His healthcare experience focuses on managing projects of all sizes and scales, including bed towers, ambulatory facilities, cancer centers, academic medical centers, and specialty centers. He thrives working with healthcare planners to transform a planning solution into a functional, efficient, and sustainable building. 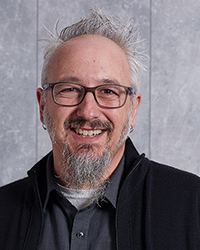 His academic design experience focuses on social academic spaces such as student centers, residence halls, and libraries, and he thrives at using design to convey the importance of these spaces to the informal learning process on campus. Waltz brings a strong technical background to his projects with special expertise in accessibility, sustainability, and building technology. Waltz holds three degrees from Virginia Tech: a Master of Architecture, a Bachelor of Arts in History, and a Bachelor of Science in Civil Engineering. He is a member of the American Institute of Architects (AIA), the Connecticut AIA, the National Council of Architectural Registration Boards (NCARB), the Association of College and University Housing Officers-International (ACUHO-I), the Society for College and University Planning (SCUP), the Construction Institute (CI), and the Connecticut Building Congress (CBC).